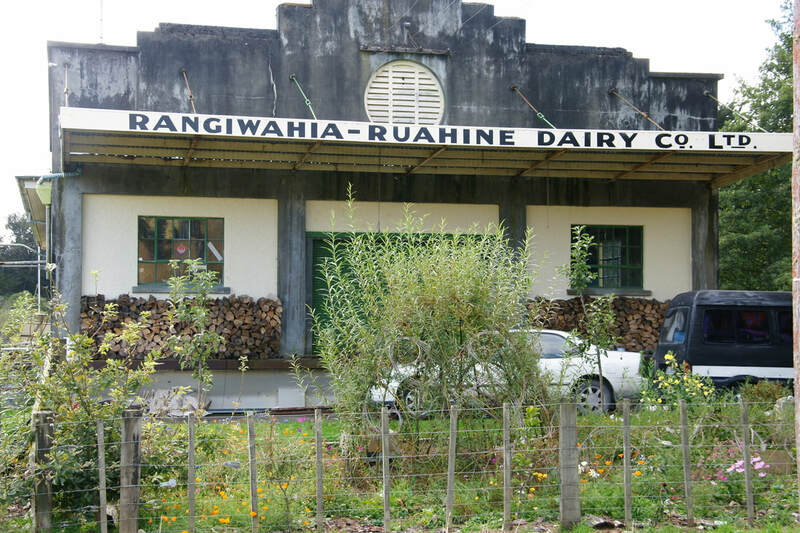 Rangiwahia means “piercing the sky”, “cloud piercer” or “opening in the heavens”. The story told was told that the site of Rangiwahia village was a natural clearing of about 100 acres in amongst the tall trees of the virgin bush. 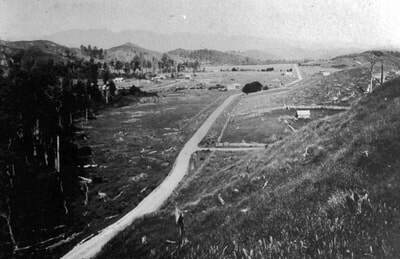 However, there was no open green valley nestled in pasture. It was, in fact, scattered trees, mostly white pines, swamp, lawyer bushes, and toitois and was virtually impenetrable. 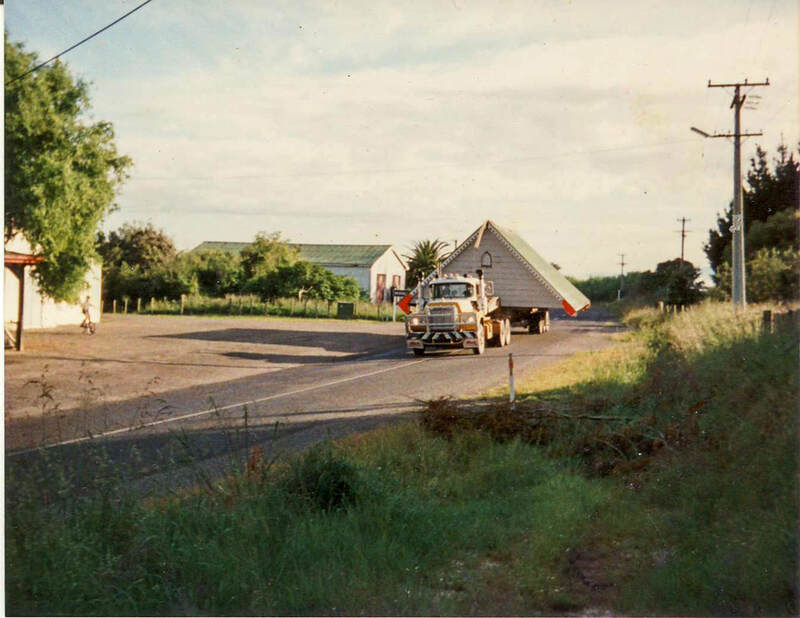 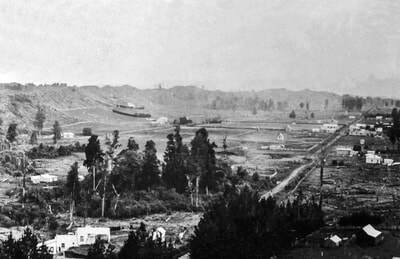 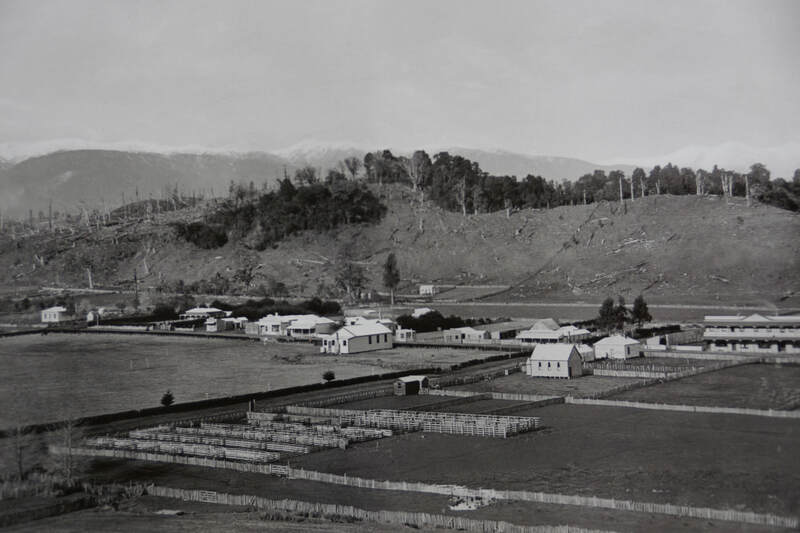 The first site chosen was in fact at Pemberton as the original Rangiwahia village site was sufficiently unattractive. 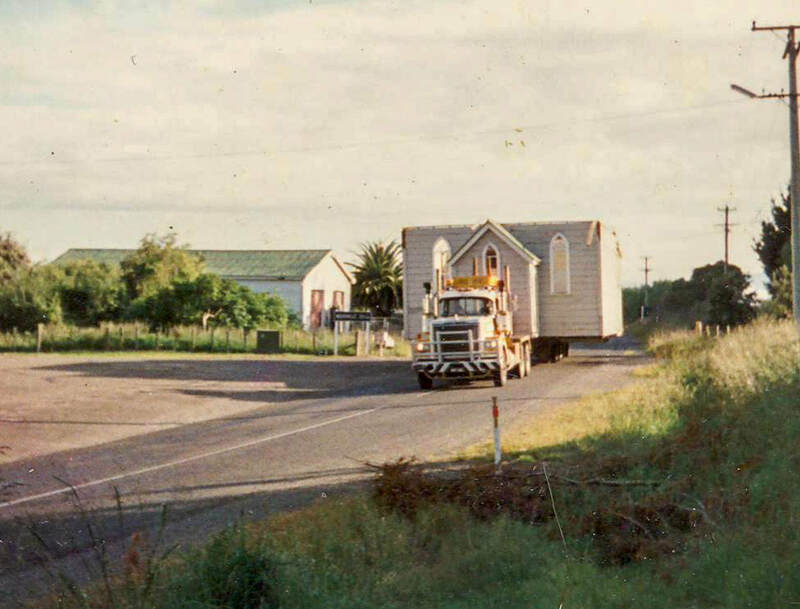 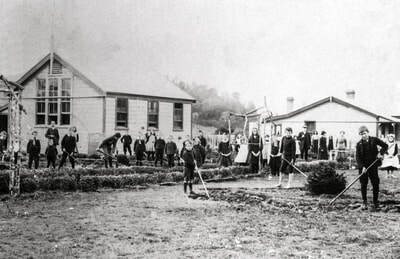 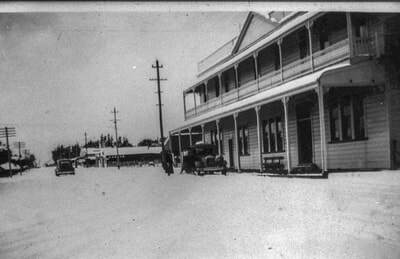 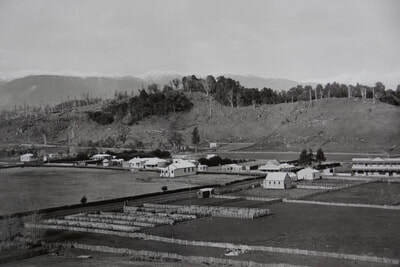 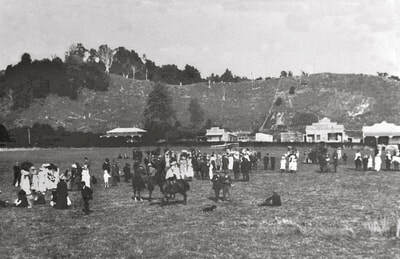 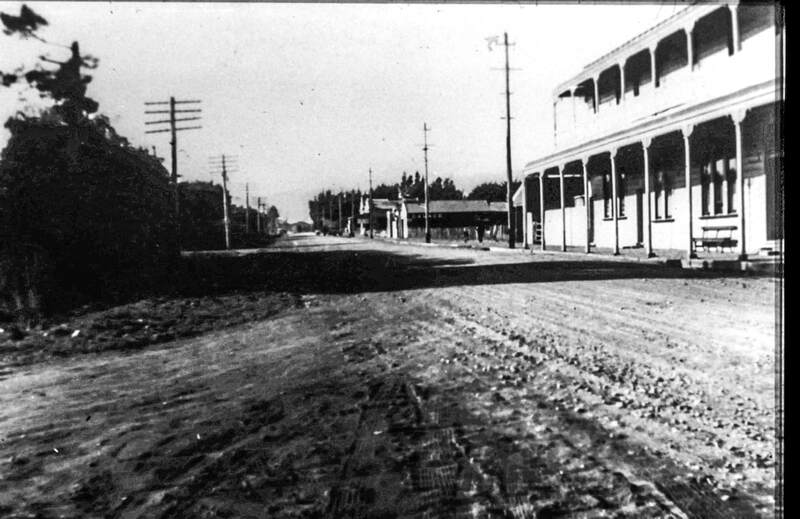 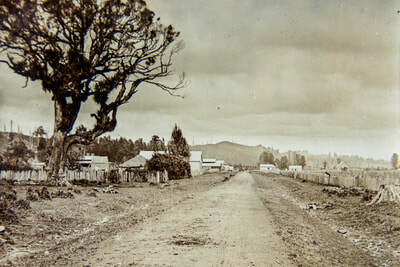 Pemberton village was abandoned in 1895 as the surveyed Rangiwahia site was being developed by later settlers eventually becoming the main centre. So how was Rangiwahia Village named? 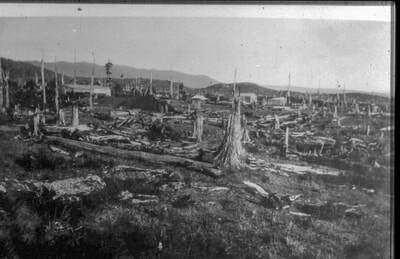 On the east side of the village, a steep hill, surrounded by extensive bush, broke open the heavens. It was named Mt Rangiwahia and today it can be seen from the south side of the Rangiwahia Scenic Reserve. 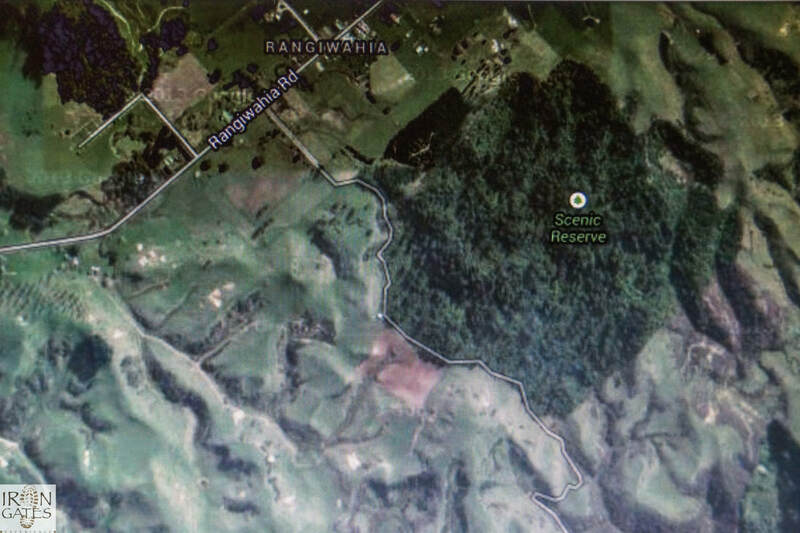 It is now on private land, but an unformed surveyed track does lead up to the trig on the top. 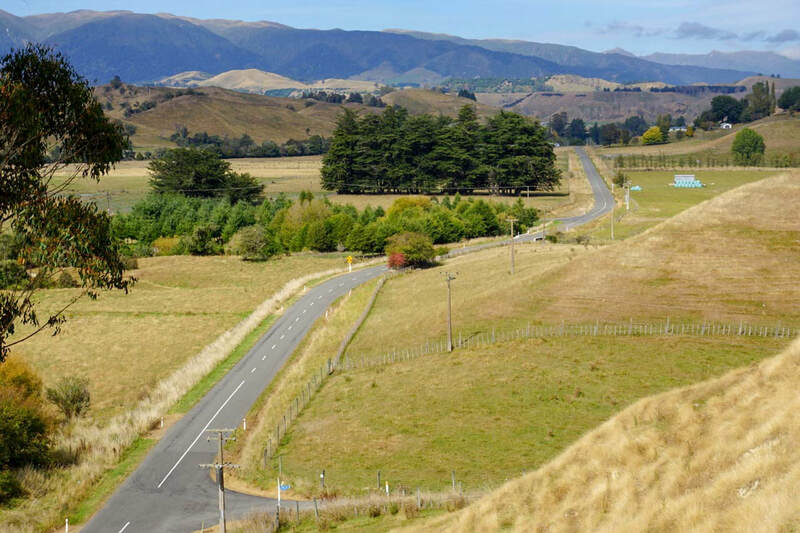 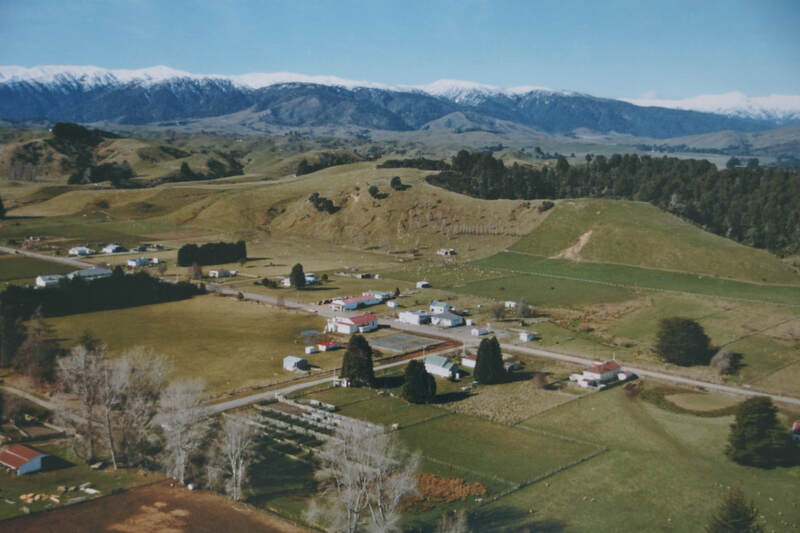 The application for & future development of land in Pemberton-Rangiwahia began in 1885 after the surveyors had done their marathon work of surveying the land into 100 and 200 acre sections. 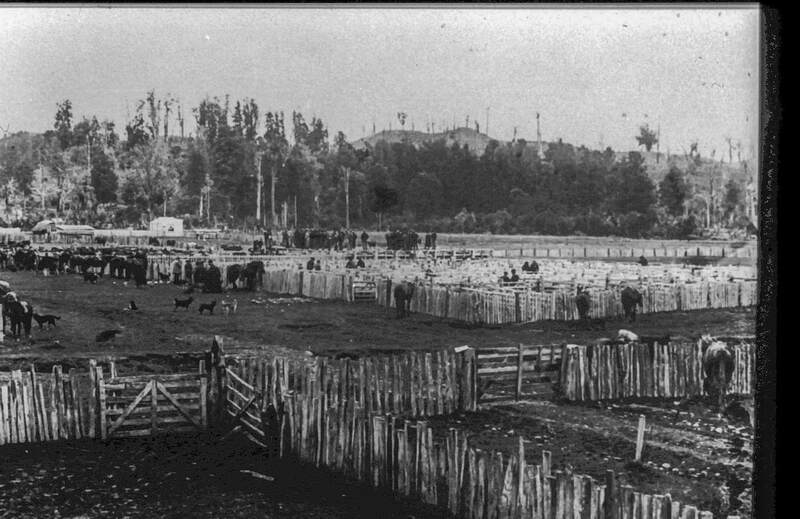 The men arrived first and began to clear the land. 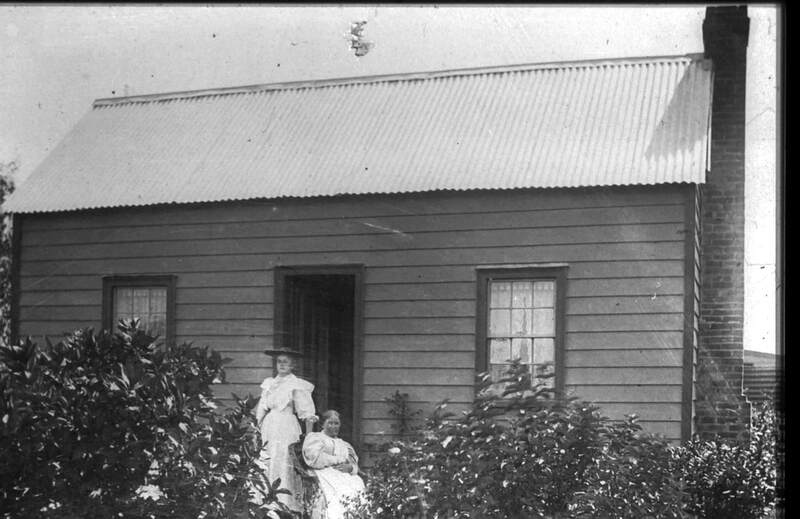 The women came later. Although there were one or two natural clearings, the pioneers faced a mammoth job of cutting down giant trees, which would be used for building houses and fences etc. There were terrible hardships to endure, such as in the summer of 1897, when raging fires swept over the country destroying homes, fences and stock. 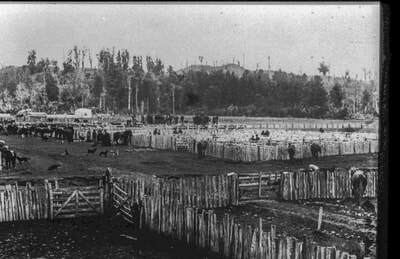 The fires did, however, rid the land of acres of valueless logs allowing room for more stock and cropping. 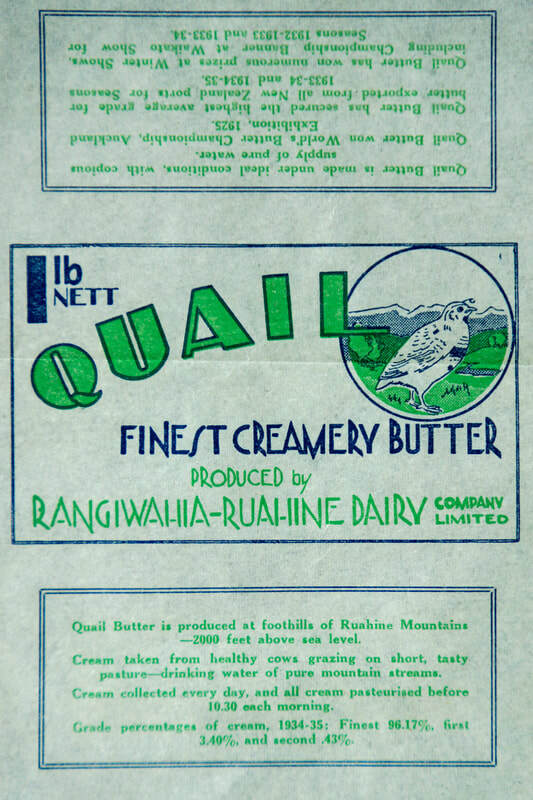 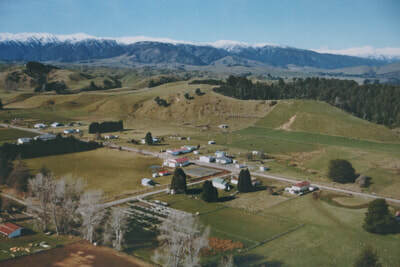 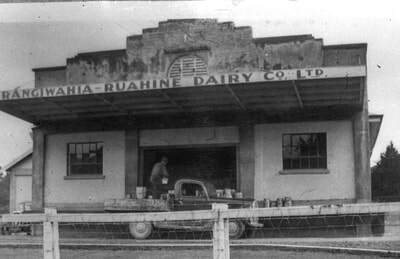 Dairying and sheep farming would become the main source of income, with dairying becoming the hub of the economy of Rangiwahia for many decades. 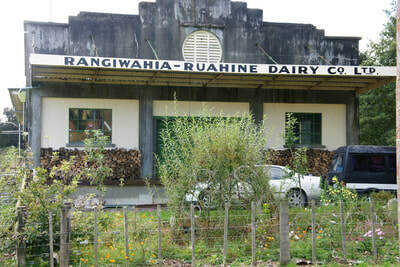 Rangiwahia was became an excellent potato growing area. 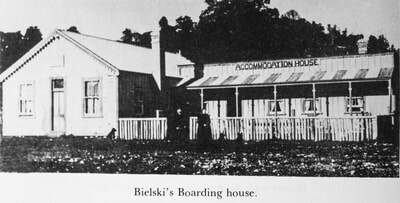 Over the following years, a bustling village emerged, with the addition of a Hotel, Post Office, saddlery, black smith, a butchery, a fine butter factory, sale yards, a hall, a school, boarding houses, a store and three churches – plus other key businesses. 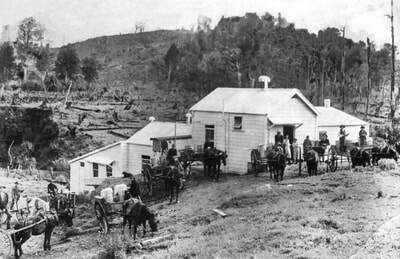 Because of the abundance of logs, saw mills also became established. 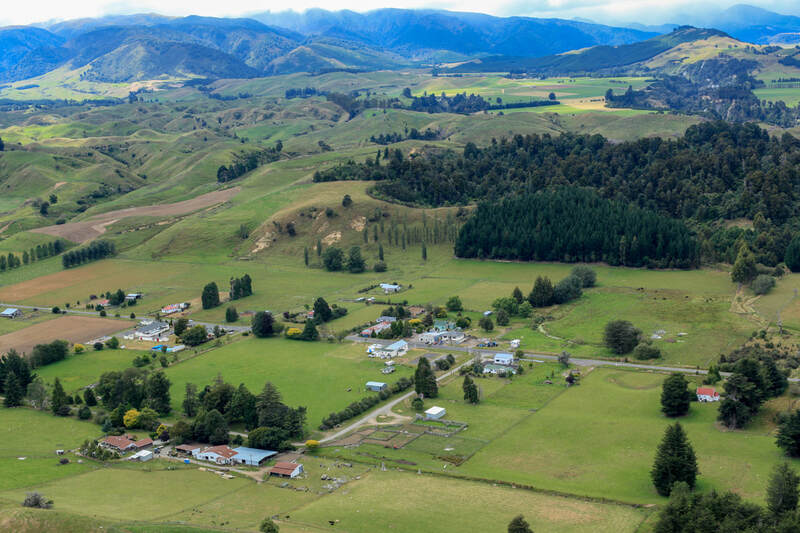 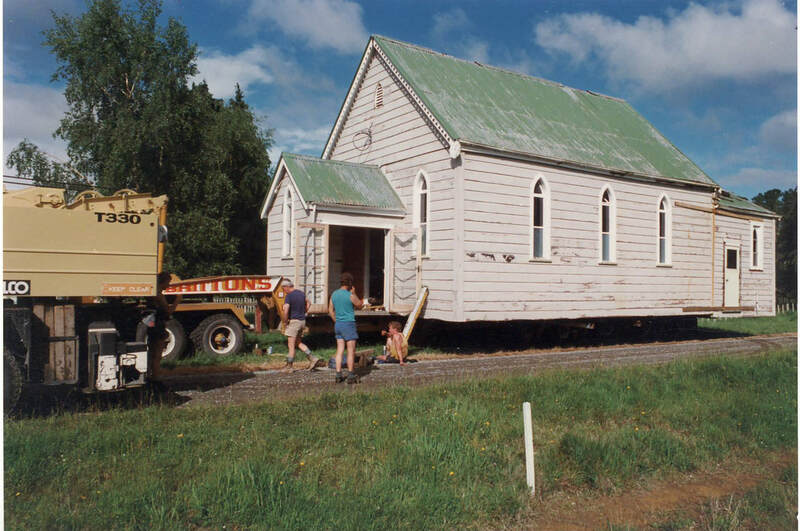 The remoteness and difficult transportation links meant Rangiwahia was a community that was reliant on helping one another and working the land to the best of its potential. 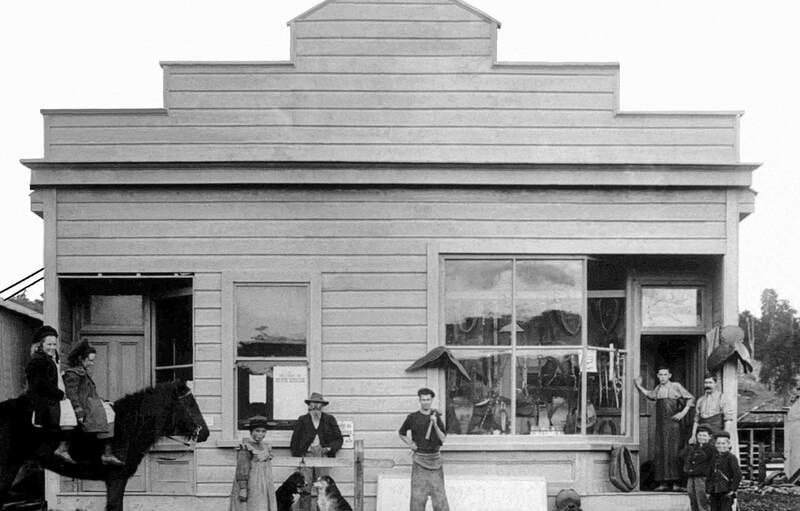 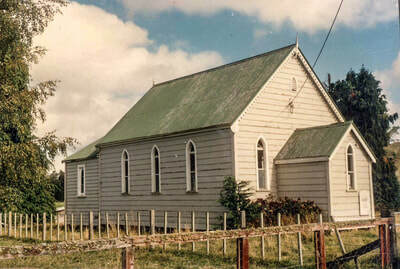 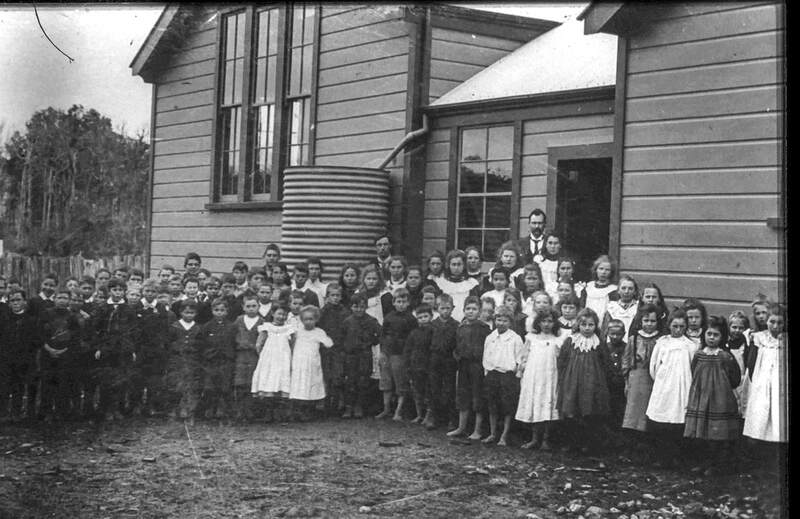 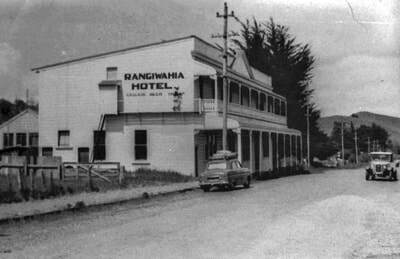 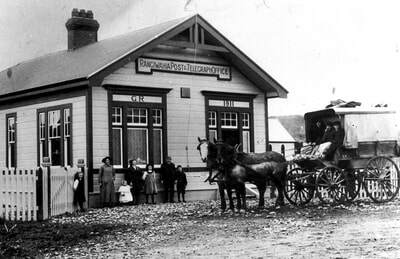 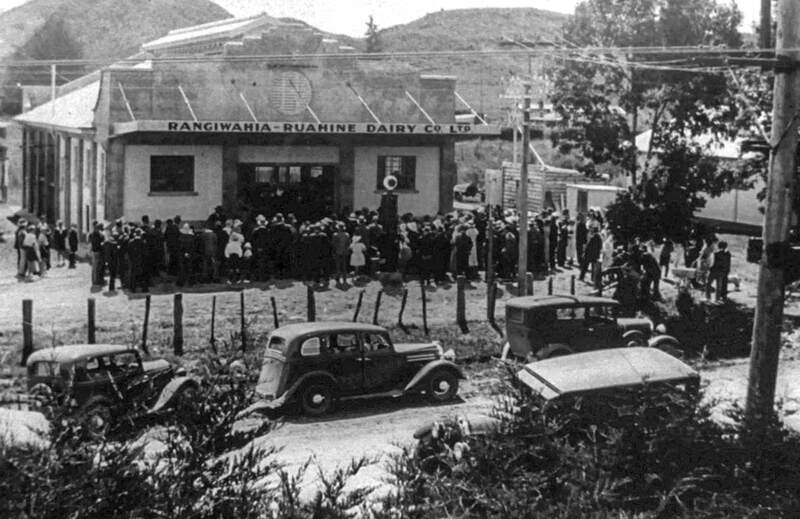 Rangiwahia was the centre for the districts of Main South, Karewarewa, Ruahine, Mangarimu, Hinau and Peep O Day with a combined population of approximately 862 in the early 1900’s. 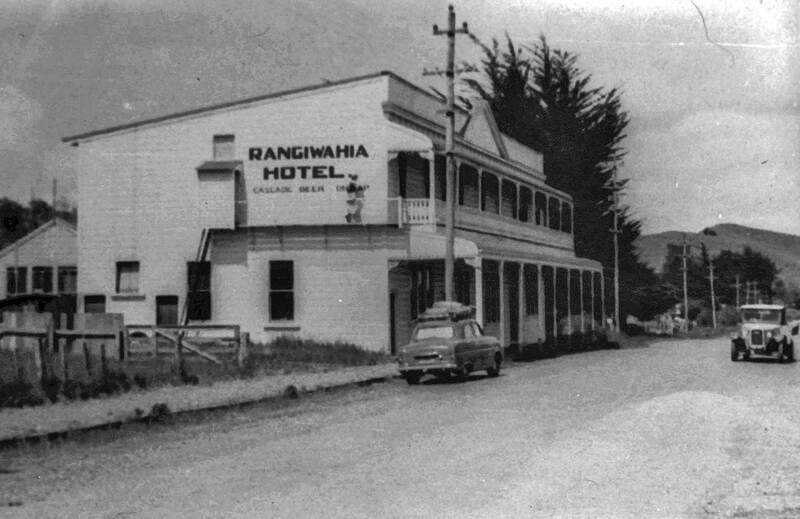 Interestingly the population of Rangiwahia Town at the 1911 census was 216. Today, the bustling village is now without many of its old buildings. The Hotel was burnt to the ground in 1958, the Post Office was burnt down in the 1990s, the Catholic & Methodist Churches have gone to Greytown and Aokautere respectively and the school was closed & removed in 2014. 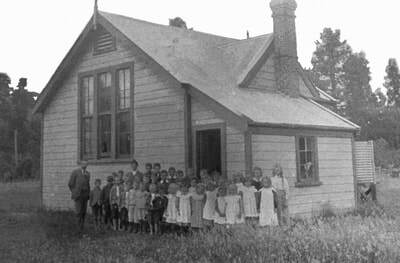 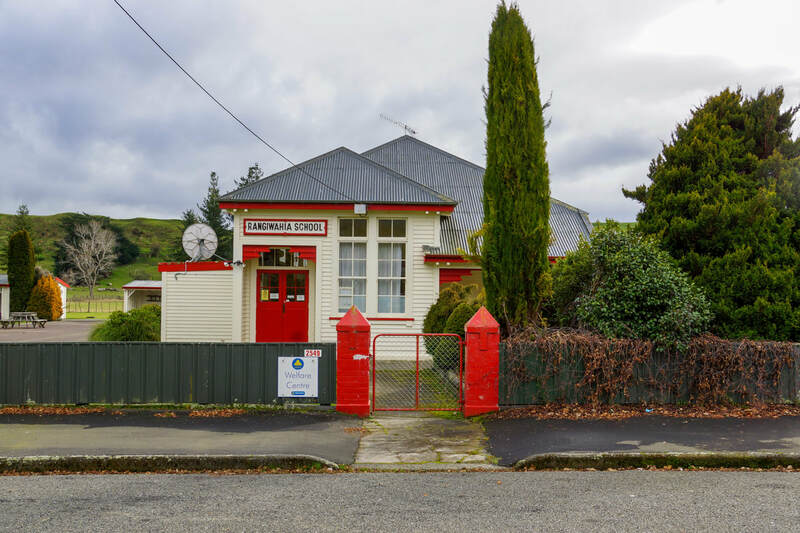 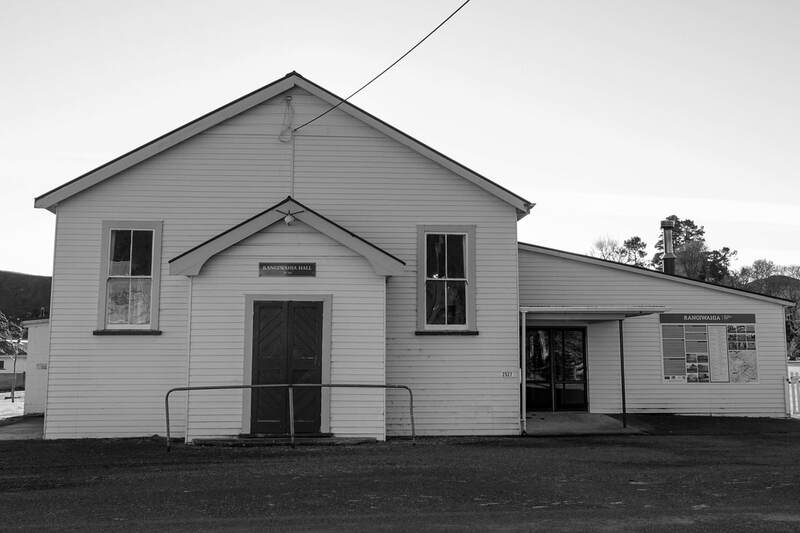 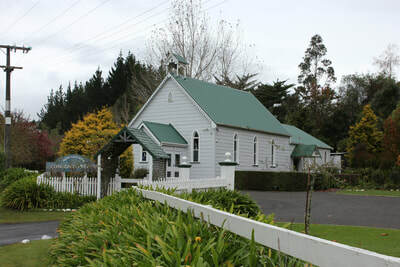 Despite the decline, it is still a well-cared for village with 2 Halls - Rangiwahia Hall & across the road The Memorial Hall, used as a playgroup. 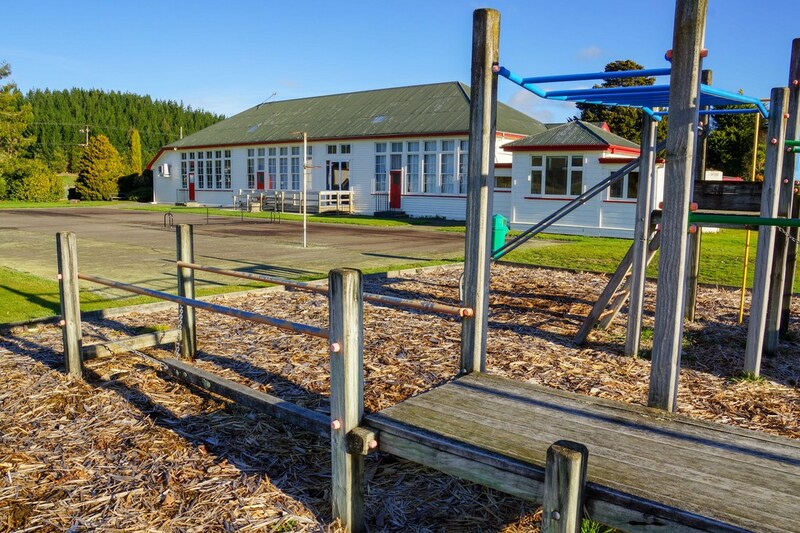 A renovated tennis court & the school playground sit beside the main Hall to the south with a motorhome site & domain to the right. 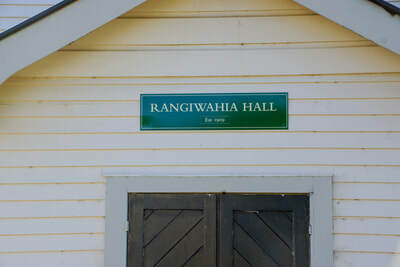 The Rangi Hall is well used and well maintained with support from the Manawatu District Council, proceeds from the Motorhome Site and Hall hire. 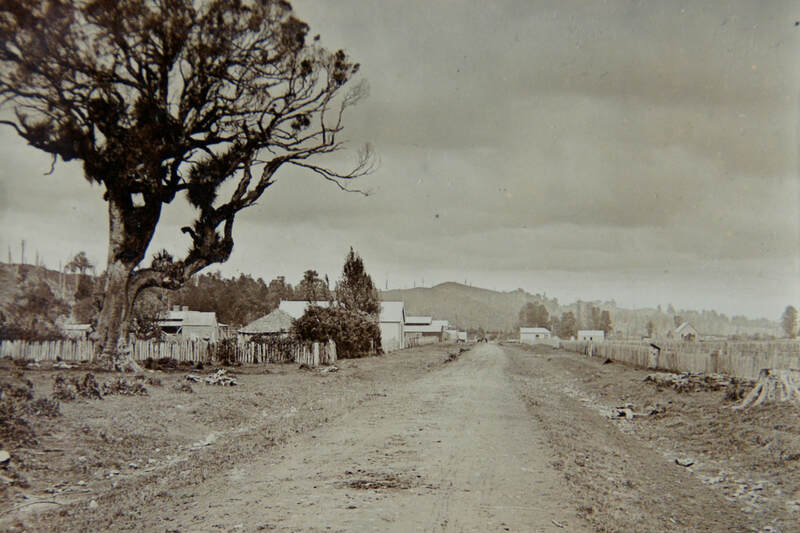 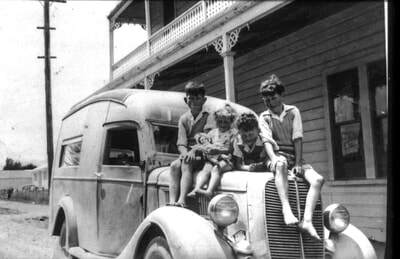 Grateful thanks to Alister Tompkins, past Rangiwahia resident & historian, for his incredible knowledge and old photographs used within the website.